An early comic! A very early comic. I won’t have access to my computer Monday night, so I’m putting up Tuesday’s strip a little early. The rest of the comic schedule this week will be normal. 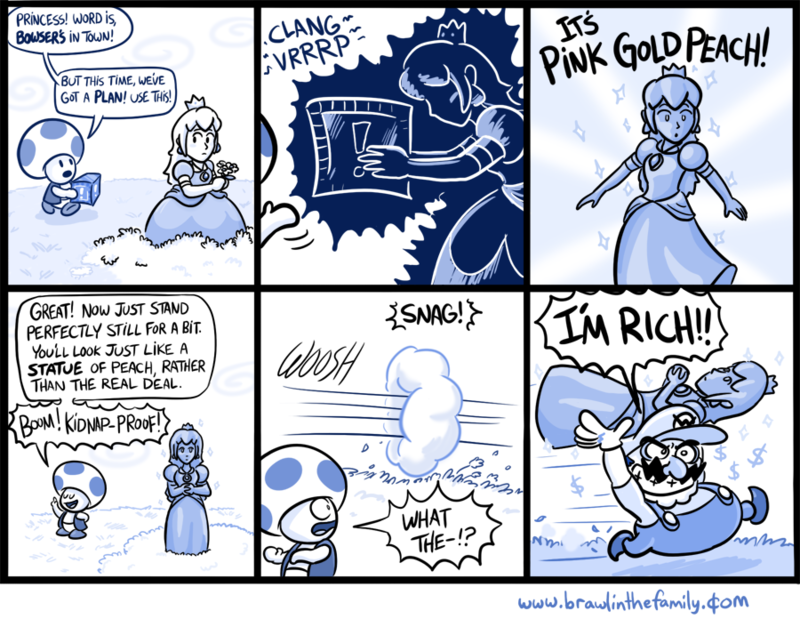 Pink Gold Peach! I guess Mario Kart just sort of made her up, so it’s time to have a comic all about her. I’m not really sure if she’s simply a metal version of Peach, or if there’s some weird alternate-dimension Peach that showed up one day (the same way the babies came in) or what. The Mario series is pretty strange. Either way, this princess wouldn’t be any less kidnap-proof than the old, softer one.